According to a recent news article in the Boston Globe, the captain of the Winchester High School football team was killed in a single-vehicle car crash. Authorities are reporting that he was driving alone in his car in a suburb north of Boston in the early morning hours when he suddenly left the road and crashed into a tree. The cause of the accident is still under investigation as friends, family, and classmates mourn the tragic loss of the 17-year-old victim. As our Boston car accident attorneys know too well, these tragedies forever change lives. While insurance companies are often quick to blame these types of accidents on distracted driving or simply an unfortunate turn of events, an accident reconstruction expert may be able to determine if the victims or their families have a valid negligence claim. During pretrial phase of a car accident lawsuit in the Commonwealth of Massachusetts, plaintiff’s attorney will be able to serve various discovery requests on defendants. This process is known by attorneys as propounding discovery. These requests can require a car manufacturer to turn over all information pertaining to defects in a particular vehicle, including test data, recall notices, internal service bulletins shared with dealerships, and company memoranda related to defects in the car. If the car company was aware of a defect that could increase the chances of a car accident occurring and failed to either correct the problem, or at the very least, notify car owners of the potentially dangerous situation, plaintiff may be able raise a claim of negligence known as failure to adequately warn of known dangers. In a negligence action, the first element that must be established is that defendant owed a duty of care to the plaintiff. The general duty of care requires that a company or person act reasonably to prevent foreseeable injuries to foreseeable persons and property. As a matter of common-law and state statutes such as the Massachusetts Consumer Protection Act (Section 93A of the Massachusetts General Laws) automakers always owe a duty of care to those who purchase a car manufactured by their company. The next element that must be established is that defendant breached that duty of care. In the context of a failure to adequately warn claim, that breach can be established by proving that automaker was aware of defect and did not warn customers. 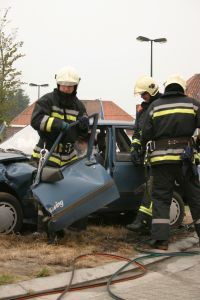 The next element that must be established in a products liability case involving a car accident is that the breach of the duty of care was both the actual and proximate cause of the car actions. Defendants will typically assert that the accident would have happened anyway regardless of the defect, so it is the not the proximate cause of plaintiff’s injuries. The most important thing victims and their families of a single-vehicle car crash in Boston can do is to speak with an attorney before reaching the conclusion that what happened was simply a tragic accident that could not have been prevented.